Kathy and I are excited to support Alkebulan Academy again this year for their annual fund raiser, called Jazz Notes! 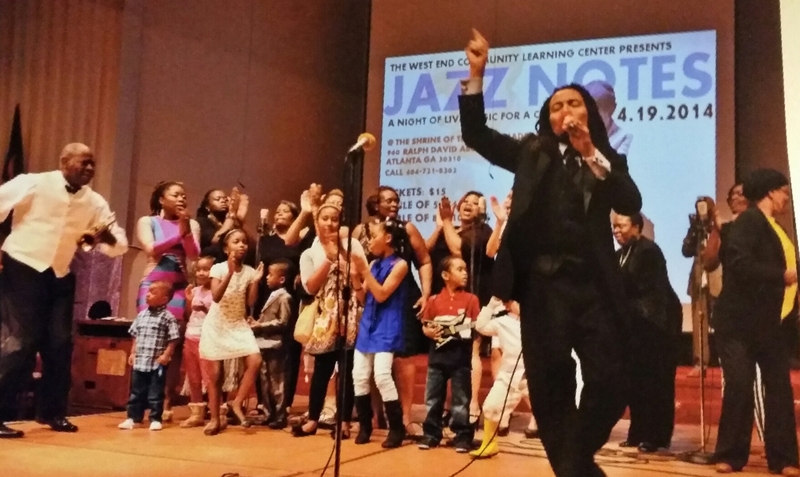 I’ll be performing multiple songs with a stellar artist line up at Jazz Notes 2015 and would like to invite you to purchase a ticket to help the West End Community Learning Center raise funds for our son’s school. When you purchase a ticket, 100% of the funds go toward the upkeep of the school, teacher salaries and special school programming. Purchase tickets for only $21 each here. Jazz Notes is always an amazing line up of performers and patrons typically bring their own food and non-alcoholic drinks to enjoy at tables while watching the show. Our son, John Hamilton Stringer V, has attended Alkebulan Academy since he was 2 and half years old and we’ve been very pleased with their education. From class sizes to curriculum, the value of the school has been incredible. He’s now 5 years old (turns 6 on June 19, 2015) and is already doing 2nd grade level Math and 3rd grade level reading.